Today marks the final deadline to vacate one of Nome’s more infamous housing projects. “If you’re into indoor plumbing, and you’re into nice hot showers after work every day, and you’re into not ever being cold – then living on West Beach is definitely not for you,” said Ian Foster, who has lived in Nome for the past six years. He spent three of those years living in one of the more comfortable-looking shelters on West Beach, a plywood cabin with propane heaters and two big picture windows. Foster has since upgraded to a place with running water, but says the cabin and its beach-front property — which he leases from Nome Gold Alaska — still holds a special place in his, and Nome’s, history. The impromptu mining camp has existed, in one form or another, for several decades despite shifting land ownership, and varying degrees of approval for would-be tenants. 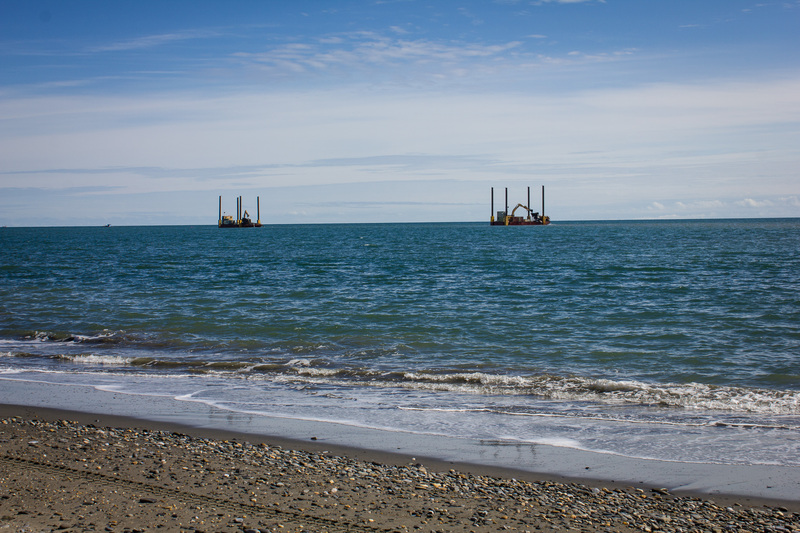 The current property owner, Nome Gold, officially opened the beach — along with another tract of land near the defunct Dredge 6 — for two-year leases in 2013. Powelson said the company’s decision not to renew those leases was three-fold. First, the property was difficult to manage — a seasonal population and lack of identifiable house markers made distinguishing between leaseholders and squatters next to impossible. Second, he says, Nome Gold plans to make “industrial use” of the area for mining as early as 2017. And third, the beach shelters fall within the city’s flood plane — a point that Nome city manager Josie Bahnke said the Federal Emergency Management Agency (FEMA) was quick to make with city officials during its last inspection. Bahnke said FEMA warned the city that semi-permanent structures on West Beach were a liability, and an order trickled down: Get rid of them. But for beach residents that may be easier said than done. 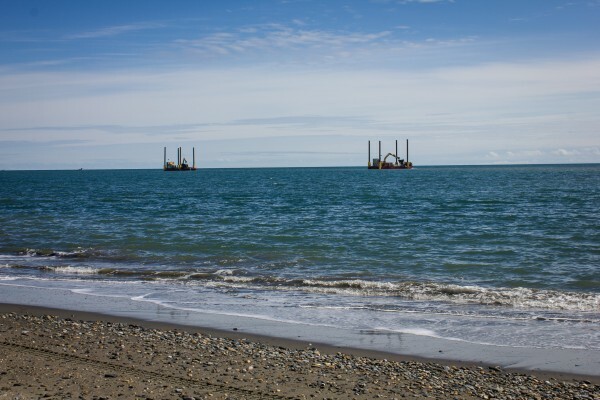 Foster explained the camp on West Beach isn’t simply historic, it provides a crucial alternative for miners too cash-strapped for Nome’s expensive housing market. “I’m paying a thousand bucks a month for a little studio. And it’s not that big, it’s not that fancy, it’s just a studio, and this isn’t New York. So why am I paying a thousand bucks? That’s just what housing costs up here,” he said. Powelson acknowledged that Nome’s steep housing prices are a problem, but said that problem “isn’t really Nome Gold’s responsibility to solve.” Instead, he said, it’s going to take a group effort to find workable solutions. “It’s also going to take the dredging community to, not only police themselves, but take personal responsibility that we wouldn’t be in this mess if there hadn’t been some unfortunate individuals who made it not work for everybody,” Powelson concluded. Foster agrees that some may have taken advantage of the housing arrangement on West Beach, but he thinks finger pointing is counterproductive. 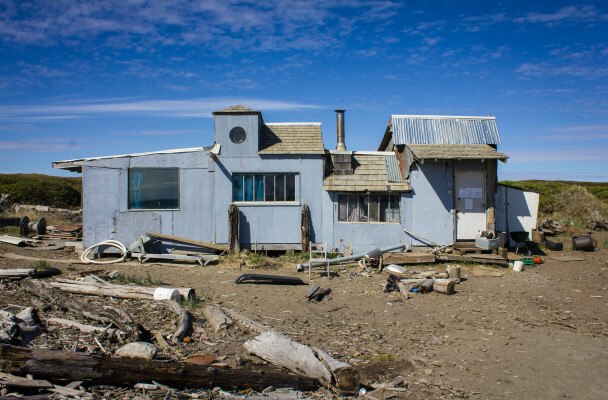 “If we categorize any population in Nome as partly destructive, therefore all destructive, therefore they shouldn’t be here — that argument is awful,” said Foster, who plans to focus on the positive aspects of West Beach’s legacy. “West Beach was an awesome, awesome period of my life. It was a type of deliberate living that I was really seeking. And I loved it. And, you know, they can’t take that away. Because that’s experiential. It’s in me. It’s already there; it stuck,” he said.